•To create a separate point layer that are the nodes of the network select Create node layer and click OK.
•RivEX will generate a new point layer. 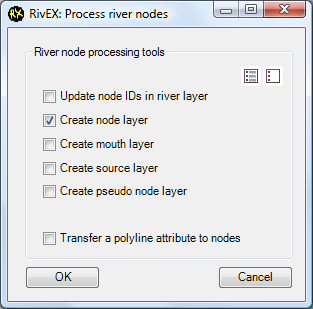 It will take on the name of the river network with "_nodes" as a suffix. The layer is stored as a Shapefile in the Output sub-folder in the RivEX_Workspace folder. Below is an example of the node dataset labelled by NodeID. 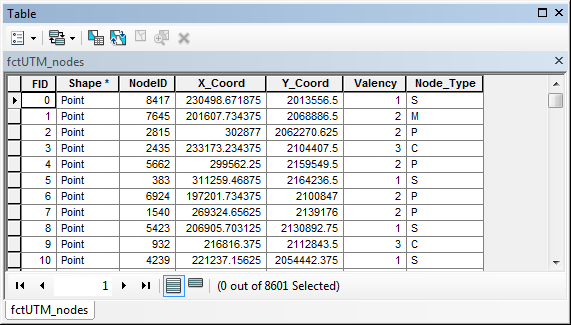 •If you open attribute table of the new node layer you will see 5 fields. •The definition of node types are listed below. A node which has no polylines flowing into it. A node which has no polylines flowing out of it. A node which has 1 polyline flowing in and 1 polyline flowing out. A node which has 2 or more polylines flowing in and 1 polyline flowing out. A node that has 1 polyline flowing in but has 2 or more polylines flow out. 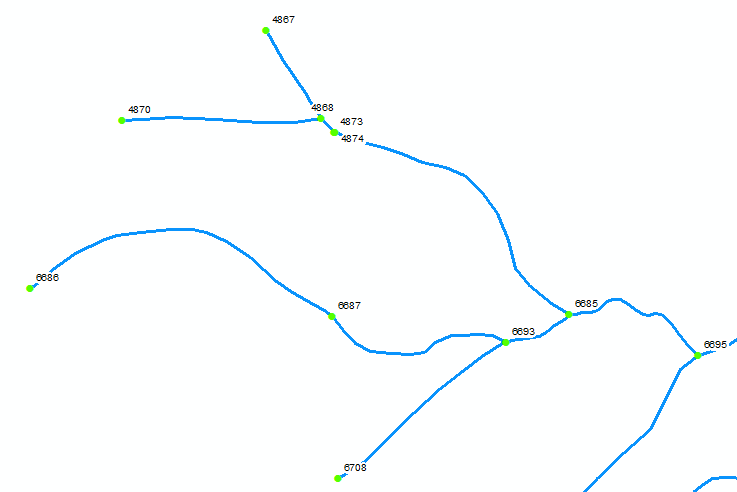 A node that has 2 or more polylines flowing into it and 2 or more polylines flowing out.